YSBD underpins effective training in the Arts. Staff, pupils and parents should all be clear of the high standards of behaviour expected of all pupils at all times. The behaviour policy should be supported and backed-up by all teachers and the Principal. 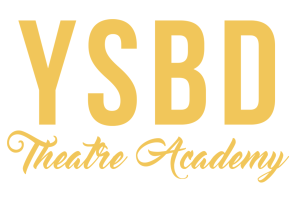 YSBD Academy encourages good behaviour through a mixture of high expectations, clear policy and an ethos which fosters discipline and mutual respect between pupils, and between staff and pupils. YSBD Academy has in place a range of options and rewards to reinforce and praise good behaviour, and clear sanctions for those who do not comply with the academy’s behaviour policy. These will be proportionate and fair responses that may vary according to the age of the pupils, and any other special circumstances that affect the pupil. A warning that the behaviour is unacceptable and an explanation as to why it is unacceptable. In more extreme cases YSBD Academy may use temporary or permanent exclusion. In this case parents will be informed and the child sent home. YSBD Academy recognises the importance of positive and effective behaviour management strategies in promoting children’s welfare, learning and enjoyment. Schemes are in place to reward the children for good behaviour. These include: stickers, certificates, Star of the Week, Performer of the Week, trophy presentations and positive verbal feedback. Staff will set a positive example to children by behaving in a friendly and positive manner themselves, promoting an atmosphere where children and adults respect and value one another.